Amazon has Method Foaming Hand Wash, Lemon Mint, 10 Ounce for $2.50. This is 50% off from the regular price of $5.00. Free shipping with a $35 order or free 2-day shipping with Amazon Prime. This entry was posted in Sale on August 31, 2015 by Crodeal. 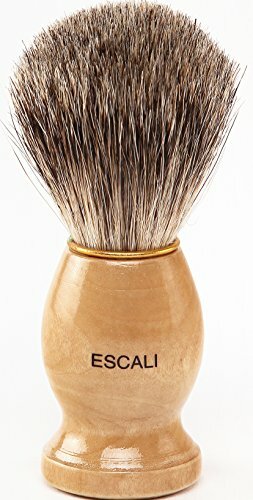 Amazon has Escali 100% Pure Badger Shaving Brush for $8.95. This is 55% off from the regular price of $19.95. Free shipping with a $35 order or free 2-day shipping with Amazon Prime. This entry was posted in Sale on August 30, 2015 by Crodeal. Walmart has Fireplace with PVC Cover, Antique Bronze for $64.12. This is 41% off from the regular price of $109.00. You can also get free shipping or store pickup. This entry was posted in Sale on August 29, 2015 by Crodeal.